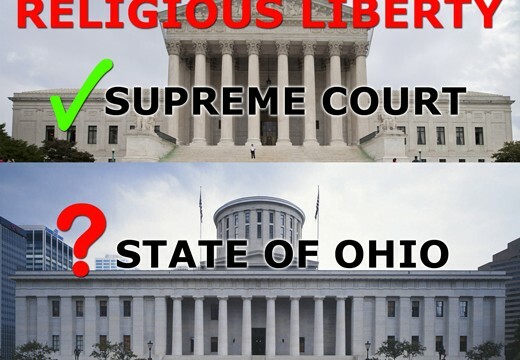 OCR Co-Founder and Featured Contributor Adam Josefczyk, Vice President of Operations at Citizens for Community Values, joined Bob Burney yesterday, 4/2 to discuss issues about religious freedom: Hobby Lobby SCOTUS case, Mississippi and Ohio RFRA bills, and more! OCR Executive Editor Michael Hamilton and Executive Director Adam Josefczyk join YES FM’s Tommy Briggs to discuss recent articles on Ohio Conservative Review. Adam and Mike join Bryan Williams to discuss the Values Voter Summit, the federal government shutdown, Sen. Ted Cruz, and the upcoming controlling board vote in Ohio. Executive Editor Michael Hamilton and Executive Director Adam Josefczyk make OCR’s first appearance on the Bryan Williams Radio Hour to discuss the vision, mission, and purpose of Ohio Conservative Review, along with recent news and policy debates.